The Village at Lake Norman is a go? The Village at Lake Norman project that has been an on again off again project do mainly to the funding of the new exit 27 on route 77 and the surrounding roads in the area that would need expansion Cornelius, NC may just be a “GO!” after all. Sources have reported that funding by the state has been moved up the priority list and the project will move forward. If you have not read the details about the Village at Lake Norman project you can check them out below. Well, the final decision is up to the 5 members of the Cornelius Town Board. The now more than 2 year old 1.4 million square foot real estate development project planned to sit on Highway 21 just south of Westmoreland Road leading all the way up to Grace Covenant Church is still up in the air according to recent reports. The current proposal includes the development of a town center with a large high end retail presence of over 840,000 square feet, 500,000 square feet of class A office space, two Hotels and 400 luxury condominiums. 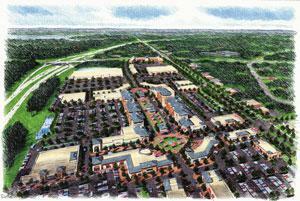 If the project is approved it will be 3 times the size of the ever popular Birkdale Village in Huntersville. A large hurdle that has the project in limbo is the exit ramp that will need to be built in order for the project to go forward. The developers have proposed to pay over $40 million in road improvements for the area, most of it to be spent on the new exit 27. In fact Walter Rector one of the developers said if the exit ramp is not approved the project will not move forward. The exit ramp seems to be the deciding factor at this point. We’ll just have to wait and see. 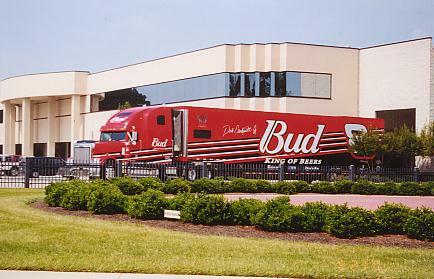 UPDATE: The latest information according to sources has the project breaking ground in early 2010 and opening in 2011. You would think that is was impossible to get a mortgage these days with the way the media has painted such an awful picture of the housing and mortgage industry. Truthfully things are really pretty good. Yes, things have slowed down in the past months but they are still quite good if you look at the big picture. Currently interest rates are at 6.424% and the fed just dropped a 1/2 point earlier today which should bring down rates even more in days to come. The only people that are having trouble getting a loan are people that have poor credit. Foreclosures are also up do to the many high risk loans (ARM – adjustable rate mortgages) that were approved in the last few years and are now unaffordable. Adjustable Rate Mortgages should be obtained when rates are going down. This will allow you to refinance at a lower fixed rate once rates have levelled off. In the meantime you also enjoy the lower rates that adjustable rate mortgages offer. Just don’t get stuck with an ARM when rates are going up. 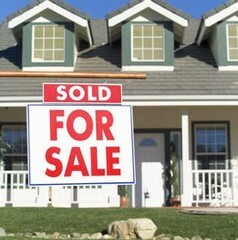 As far as the housing market goes things are still going well in the Charlotte / Lake Norman area. In fact the Charlotte / Lake Norman market is one of only five markets in the United States that had an increase in home value from June ’06 to June ’07 according to a recent article in the USA Today. Home value increased 6.7% in the Charlotte / Lake Norman area second only to the Seattle market that increased 7.0%. Do to an increase of the number of days homes are on the market and stricter lending requirements around the country the market is now considered a buyers market. Great if you are looking to buy a home but not so great if you are looking to sell a home. Lake Norman, NC – The Buyers Market is Back! If you have been watching TV, reading the paper or talking to your next store neighbor you must think the housing market is doomed and the world is coming to an end. Thanks to media momentum the housing market has taken a pretty good blow nation wide. Although certain parts of the market are on a decline the media has been feeding snow to the snowball and it is now rolling down hill if you know what I mean. The truth is, its not as bad as everyone thinks it is. If you are comparing to the last couple of years the numbers are down in almost all areas of the United States but overall the market is still fairly healthy looking at the big picture. If fact the Charlotte area, Lake Norman included is one of five cities in the U.S. that actually gain home value from June ’06 to June ’07. Interest rates are still in the mid to low sixes. As a REALTOR in the Charlotte / Lake Norman area the biggest problem I have been faced with is that buyers from out of state are unable to purchase the Lake Norman homes they are interested in because they are unable sell the house out of state. The Lake Norman market remains strong but has been effected by the majority of markets outside the area. As with all financial markets, the housing market is going through a natural cycle that will level out the steady climb that has been going on for years and years. Were it has been a sellers market for a number of years, it is now swaying back towards a buyers market. Listings have been staying on the market for about 100 days in the Lake Norman area which is a bit longer than months past. If you compare that to other markets that is’nt too bad from a sellers point of view. Do to the market slow down nation wide the Lake Norman market is also experiencing the transition to a buyers market. That is obviously good for buyers but touch on the selling side. If you were thinking of buying a new home this may be the time to start looking.